This is the day when the 23-year-old campaign led by the bereaved, the traumatised and the injured was vindicated. I pay tribute to the work of the Bishop of Liverpool and his panel in demonstrating so conclusively what had been suspected for so long—that there had been a major and systematic cover-up. Can the Prime Minister give us an absolute assurance that in the three key areas—who was responsible for what happened, whether sufficient lives were saved, and the critical issue of the inquest—he will keep Parliament informed about progress that can be made so that those who were bereaved and those who remain traumatised will at least start to feel that they are at the beginnings of receiving some kind of justice? In the end, you need the precision of coroners’ reports to go into that sort of level of detail, but I think that the panel has done an extremely good job with what it had. 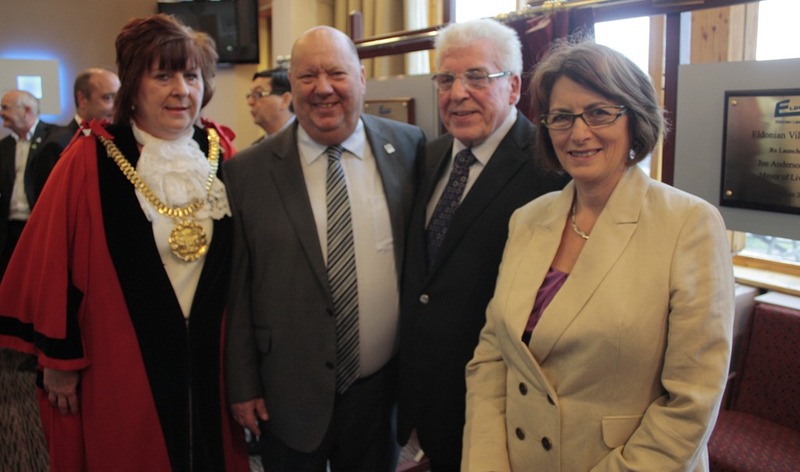 I was delighted to be at the recent launch of the Toxteth Heritage Trail, which was officially opened by Mayor Joe Anderson at the Greenhouse Project in Lodge Lane. The trail is covered by five separate mapped areas, a brochure, and pavement and bill-boards signage – signalling the most significant features and histories of the area. The area is home to many striking places of worship including St James in the City, St Patrick’s Chapel, the Welsh Presbyterian Church, Greek Orthodox Church and Synagogue. Among the many people who have left their mark on Toxteth is Joseph Paxton who designed Princes Park, inspiring park design throughout the country. A little known character from the area was José Arturo Castellanos Contreras who served as Consul General in a house in Bentley Road during the Second World War from where he saved thousands of lives by providing people with false nationality papers. The Light Overhead Railway Station in the Dingle still has its underground platform and tunnel that can be walked all the way to the docks. There has also been another great piece of recent news for Lodge Lane as it has been chosen by Government as one of 15 places from across the UK chosen in the second round of funding under the Portas Pilot initiative – named after entrepreneur Mary Portas – who has been asked by Government to review and look into reviving the UK’s high streets. There are now 27 Portas Pilots in the UK. Led by the Tiber Young People’s Steering Group the bid, which has a strong level of local community support, focused on improving the local public square, and promoting business start-ups in the area – particularly through a new mentoring scheme. It will also offer training to young people on becoming entrepreneurs. Congratulations to all at Tiber on this achievement. This will greatly benefit the local community in and around Lodge Lane. Recently, the Transport Select Committee published a report on road safety and in particular highlighted the positive progress made by Liverpool towards 20 mph zones, recommending that these zones should be copied across the country. The 2nd Report on Road Safety, which can be found at http://tinyurl.com/buz9z8j highlighted the on-going work between the city council and the Primary Care Trust to fund the introduction of 20 mph zones in residential areas. These zones save lives in built-up areas, improve safety for all and help create a better environment. Other cities should be encouraged to follow the Liverpool template and the impressive work the committee saw in Halton during a committee visit to the borough. The Government should encourage the development of inter-agency partnerships and include examples of best practice in securing joint working in its forthcoming guidance for local authorities. The report also concluded that a recent surge in road deaths should be a “wake-up call” for the government to provide stronger leadership on road safety. 2011 saw the first increase in road fatalities since 2003, with 1901 people killed on the roads nationwide. It is shocking that road accidents are the main cause of death amongst young adults aged 16-24 and that so many cyclists continue to be killed or injured. In 2010 there were 283 fatalities amongst car occupants aged 16-25. 27% of young men aged 17-19 are involved in a road collision within the first year of passing their test. If the government is not willing to set targets, it should show more leadership. Action is required to improve road safety for young drivers, including an independent review of driver training. The committee welcomes the attention cycling has received but there is much more to do. The Committee also highlights the variability in road safety performance between local authorities. The evidence the committee gathered suggests the principal factor in improving road safety is robust political leadership. In 2011, 1,901 people were killed in road accidents. This is the first annual increase in road fatalities since 2003 and a 3% increase compared to 2010. 25,023 people were killed or seriously injured, an increase of 2% from 2010 and the first annual increase since 1994. In 2011, 3,085 cyclists were killed or seriously injured. The number of people killed or seriously injured remains lower than any year since national records began, except for 2010. The Government has not so far provided any specific explanation for these increases and it remains unclear whether this marks the beginning of a new trend in road deaths. Figures out this week show the devastating impact that Government cuts are having on police services in Merseyside and across the country. Her Majesty’s Inspectorate of Constabulary have estimated that between 2010 and 2015 Merseyside Police will have lost an astonishing 552 police officers, almost half of them frontline. 381 neighbourhood, 999 response and traffic police are also expected to lose their jobs across the region. Merseyside Police do an excellent job fighting crime and safeguarding our communities and it is vital that Government cuts do not put our city at risk. I am extremely concerned about the reductions in Merseyside police officers and I call on the Government to reconsider their policy. The report also warns that 15,000 officers will be cut and 179 police stations will close in England and Wales by 2015. I recently went on a fact-finding visit to United Utilities’ Liverpool Wastewater Treatment Works to find out about their plans for a new £200million waste treatment plant on the banks of the River Mersey. I was shown how the city’s sewage has been treated in the past and how it will be dealt with in the future. The works at Sandon Dock in Regent Road, are being extended into the redundant Wellington Dock. The new plant will be able to cope with 11,000 litres of waste a second, serving more than 600,000 people and industry in Liverpool from Crosby in the north to Speke in the south. The scheme to build the new works is expected to generate 350 jobs and is scheduled to be completed in 2016. This is great news for the city and for its environmental future. This morning I attended the re-launch ceremony of Eldonian Village Hall which suffered an arson attack in November 2011. It caused extensive damage – ruining the lounge and bar areas. The extensive refurbishment is impressive and I congratulate all those involved with restoring the club back to glory. The event also saw Eldonian’s founder Tony McGann be awarded Honorary Lifetime President of the Eldonian Group Ltd. Tony has been a true champion and strong leader for the local Eldonian community, which is an international model of community development. The award is a true testament to his commitment and vision. The latest phase of Eldonian Village was also launched. This will see £1m of investment develop 8 two-bedroom houses on the site of the former Eldonian offices. The development was halted by the arson attack. I am pictured with Tony McGann, Joe Anderson, Mayor of Liverpool and Cllr Sharon Sullivan, the current Lord Mayor of Liverpool. I was thrilled to be on the Terrace at the House of Commons when the Rock The House competition gave three top awards to Liverpool performers. I was delighted that my nomination, Manukah, performers from LIPA, took the runners-up prize in the Best Band category. The top prize went to Walton band The Verdict, nominated by Steve Rotheram MP. Well done to all! In the Best Venue category, congratulations to Phil Hayes of The Picket, who I also nominated.